Wayne, Pa. (January 15, 2019) — Tri-Seal, a Tekni-Plex business, will be unveiling its latest pouch and lidding structures for medical device and pharmaceutical applications at MD&M West, February 5-7, Anaheim Convention Center, Anaheim, California, Booth 2033. The polyester/foil laminations, which include a coextruded sealant layer, provide consistent peelable seals over a wide range of temperatures. They are suitable for a variety of applications including lidding for contact lens cups and other package types. 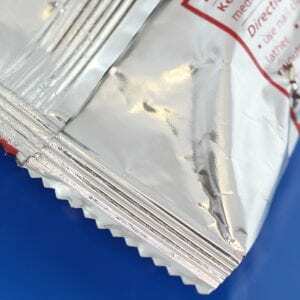 The structure can also seal to itself making it ideal for medical device pouches. Additionally, the material can withstand E-beam sterilization, autoclave and retort processing. Also on display will be Tri-Seal’s patented Sniff Seal® technology, which is the first liner to enable scent permeation through an induction seal closure liner without affecting the seal or compromising the contents. Additionally, Tri-Seal will feature its Luxe® seal line which features embossing coupled with innovative, foldable, easy peel Luxe® tabs. The embossing delivers impactful messaging, while the pull-tab enhances functionality. Luxe® seal liners can be embossed with a logo or brand or cold-foil stamped in the color of your choice. Customizable messaging is another way to create differentiation. Tri-Seal manufactures a broad range of liners in a variety of materials ranging from a one-piece induction seal to nine-layer extrusions and laminations. For more info visit www.tri-seal.com.